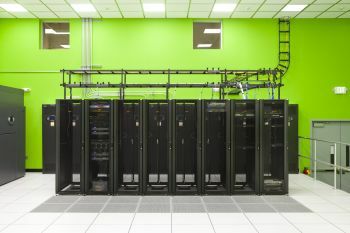 This downstate facility in Orangeburg, New York is built to the standards of a Tier III data center space and serves as one of the East Coast nodes for the gBlock Cloud platform . Located just 19 miles from Midtown Manhattan, cloud services hosted in this facility provide low latency to major financial markets and other businesses in the New York metro area. Your cloud services are include 24/7 live support free of charge on top of a 100% SLA backed by fully redundant, carrier neutral facility design. This facility provides secure, reliable cloud hosting and managed IT services. 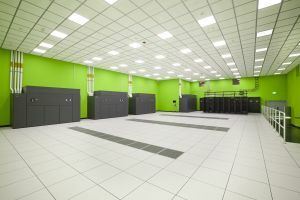 Green House Data's New York data center is an ideal location for enterprises in the tri-state region, with robust resiliency, round-the-clock service, security, and customization options. 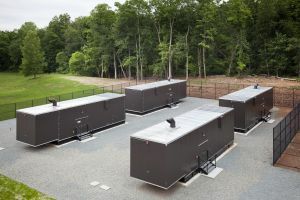 The Orangeburg, NY data center sits on a separate power grid than the city, offering an attractive failover or disaster recovery site. The building supports up to 24 MW of power in an N+2 scheme provided via two 13.2 kv utility circuits fed by separate substations. 16 generators and 8 chillers keep equipment online and cooled efficiently. Orangeburg, New York is connected to all major fiber providers in the area, with direct access to primary carrier hotels in New York City. As a carrier neutral data center, customers have their choice of provider and can enjoy greater control over bandwidth. 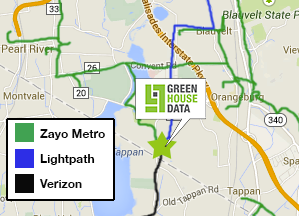 Current ISPs include Zayo, Lightower, Verizon, Cogent, and Lightpath. 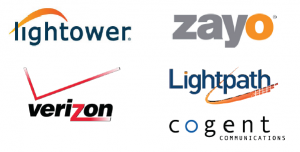 These carriers have dark and lit fiber back to major carrier hotels in the region. 1-100 Gbps connections keep latency low, to locations like the New York Stock Exchange and 60 Hudson or 111 Eighth Avenue. 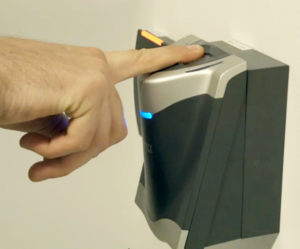 Dedication to the security of your data remains steadfast in New York, with facility access controls, constant monitoring, and proactive environmental systems. The shaded areas represent a 1% chance of annual flooding. Orangeburg is safer than 60 Hudson Street and much of Manhattan, situated miles away from flood zones. With Green House Data's nationwide cloud network, failover to geographically diverse locations is straightforward and practical to set up. Green House Data supports us in our mission to operate in a socially responsible and sustainable way by providing high quality environmental services and employing common-sense sustainable business practices.